Yesterday I outlined some of the high-level themes of Microsoft Ignite’s Modern Workplace stream. Today I will dive into the weeds as the conversations shifted from vision and roadmaps to the breadth of product development and customer case studies to realise that vision. In sessions across the day, in conversations around the halls, at vendor booths, it was clear that digital transformation is sold in many forms. We had file-sharing as digital transformation, collaboration as digital transformation, giving the tools to work being digital transformation, the new Teams hub as a centre of gravity for digital transformation, and we had deep cultural programs of change to address opportunities for customers and employees and to realise human potential. This approach means that from sessions on SharePoint, Teams, Microsoft365 and Yammer came a consistent refrain of listening and exploring to better understanding the employee & customer need in the modern workplace. This insight better enables us to tailor solutions to the different employee and customer personas. The digital transformation context made clear that these propositions are not set and forget. Each is an experiment and the beginning of an agile process of adaptation. the breadth of capabilities delivered across SharePoint & OneNote to deliver modern user experiences consistent with or superior to the consumer cloud apps. New Hubsites capability in SharePoint, where individual sites can be easily reconfigured on the fly in hierarchies and adapt automatically to fit style or other criteria set for the Hubsite. The ease of integration of Flow in SharePoint and dynamic business processes & applications built in ease visual steps. Teams adoption focusing deeply on listening and experimentation and supported by flexible FastTrack resources. Yammer case studies based on experimentation and adaptation. A light hearted discussion of the etiquette of the Modern Workplace by Loryan Strant and Darrell Webster of Regarding365. Calls for working out loud and openness of work in many sessions. Digital transformation requires cultural transformation. We need that culture to enable the agility and learning of a digital business. That begins by delivering platforms for connection across the organisation. Humans are social learning animals. Every session spoke about connection and the opportunity to learn individually and together. Sharing and collaboration plays a key role in fostering this inherent human social nature. We do well when we begin from how our teams and organisations want to connect and share, rather than from a tools ability to help. The buzz of connection and sharing played through the corridors as Microsoft employees, customers and partners interacted. These conversations were the richest and most personal of the day. As good as many of the Microsoft presenters and products are, nothing beat the opportunity to engage deeply on issues that matter most to you. I particularly enjoyed the opportunity to meet the little circular faces of my social feeds as entertaining conversation partners. I also enjoyed the vibrant debates as IT Professionals and advocates argued their cases for the best way forward late into the night. Across the day, we were reminded that adoption is asking humans to change their behaviours in the Modern Workplace. Technology alone will not deliver results without human change. That change is driven by human needs in their work and the process of change. We need to remember this is a human process for human purposes and must deliver benefits to employees and organisations. The adoption approach for Teams or SharePoint or Microsoft365 or Yammer when successful are driven by the same fundamental human insights. Adoption can be a frustratingly imprecise discipline to those looking for the directness of running code, but it remains essential to tailor to the manifold complexity of human work and its changes in every organisation. With its breadth and depth of experience, Microsoft has a strong ecosystem of adoption partners. 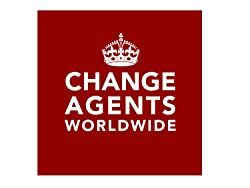 Change Agents Worldwide was included in great company in the list of Yammer Adoption Specialists. Product focus is important but we need to be better as a community around Microsoft365 and the Modern Workplace to leverage the shared potential, experience and learning of a common adoption practice, rather than divide too tightly in product silos. In business, we commonly think there must be one right way, one set of settings that will deliver the perfect outcome for everyone if only it can be executed just so. That ‘silver bullet’ mindset can be hard to resist at a conference of shiny new toys. The messy complexity of changing digital markets, complex digital organisations and diverse human behaviour means that no one solution fits all. Security is a domain in which there has been strong announcement across this event. It is also a domain in which it is impossible to control every vector of threat with one approach. Jeff Teper in the SharePoint session highlighted that Microsoft’s ambition is that moving to the cloud should not be a compromise. It should offer enhanced security options and we can see that as this event as Microsoft brings together the security underpinnings of all of Microsoft365, develop flexible toolsets, reporting and controls and uses its position with AI, and features to enhance the security offerings for organisation. Transparency vs Privacy & Security: Never before have so many controls existed on people’s ability to share and use documents. Never before are files and conversations as accessible and shareable. In many cases, it felt the appeal of the tight domains of the inner circle of work in Teams was this ability to tightly manage activity. What ever the outcome, we must remember that creating psychological safety is a key component of effective work. Microsoft repeatedly highlighted that an overabundance of policing may compromise the benefits sought. Empowerment vs Control: Tools like Teams and SharePoint offer a depth of control of the work experience for employees. Policies, settings and analytics will shape what work can be done and how. We must be clear on the extent of empowerment required to ensure that security concerns do not send work backwards to the fixed task-driven roles of the production line. These roles are too easy to automate. Consistency vs Diversity: The outer circle of work is the circle of discovery, serendipity, surprise and diversity. This context shapes the work of the inner circle and the two must be held in tension for effective outcomes. Too consistent and you may miss ability to meet opportunities and adapt. Too diverse and the centre may not hold. A delightful example of this tension was in Mars’ case study of the use of bots in Yammer. Their user testing of the bot prototype revealed the limitations of the bots AI and the danger of a ‘demonic Clippy’ killing engagement across the network by answering all posts. The final solution was a blend of AI, intelligent workflows, human decision making, learning, and a deep understanding of the Mars culture and target employee experience. The first iteration of this ever growing solution was focused and designed to enable employees to address perennial questions like “which tool when?” but importantly delivered an answer to “who can help me? as well. We manage the tensions of the transition to our new digital workplace each day with the people in and around our organisation. Learning, collaboration and adaptation are critical. No organisation wants to replicate the conditions for this transformation each time. On Day 3, I will be speaking with Cai Kjaer and Scott Ward on how collaboration can provide a platform for an organisational focus on this adaptation. By simongterry in Future of Work on 27/09/2017 .